Canada is a leading producer of nickel and the mining of this metal has contributed significantly to the nation's economy. The industry is closely tied to the Sudbury Basin whose mines have produced the greater part of the metal in this country. Nickel, in association with other metals, was discovered here in 1883 and mining for copper began shortly thereafter; but it was not until the 1890s with the development of nickel-steel alloys that the ore was mined primarily for its nickel. The Creighton mine, which opened in 1900, became the largest nickel mine in the world. In reply to the note of Jan. 19, 2012--This website originally featured only plaques from the Ontario Heritage Trust (and its predecessors, by various names). As that list got close to completion, the mission expanded in recent years to include plaques in Ontario from the federal Historic Sites and Monuments Board. That's the body which designates sites, events, and persons of national historic significance. Parks Canada provides technical assistance and maintenance of the plaques, like this one, which mark those designations. The park service also operates a select few sites as part of the national park system, but this is not among them. 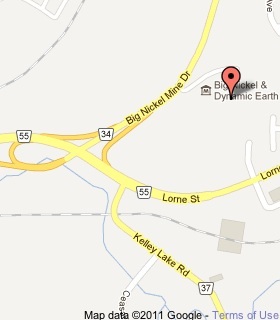 As for Parks not knowing where this was located, it often depends whom you speak to. Besides this website, a good source is to contact a staffed national historic site and ask which is charged with maintaining the plaques in a particular region. The maintenance team keeps an inventory and will know where each is located. 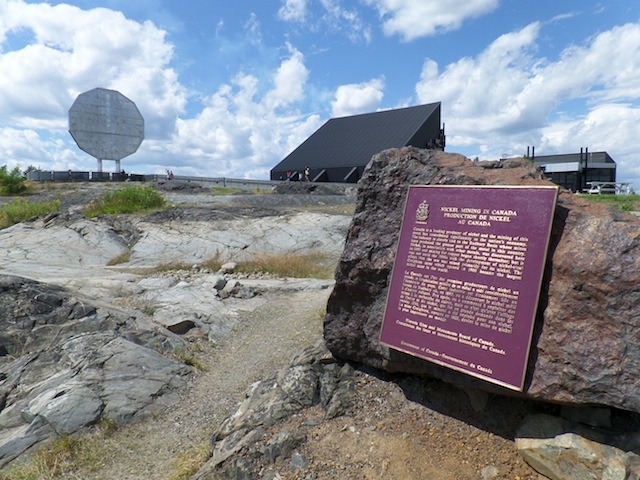 As for this particular marker, it's part of 'Mining National Historic Event', designated in 1973, and comprised of seven plaques in three provinces and one territory: Asbestos and Copper (QC), Iron (NL), Uranium (NT), and Nickel, Silver, and Gold (ON). 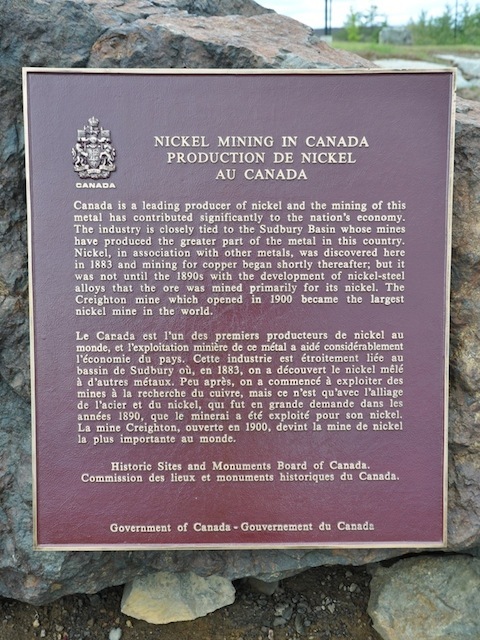 Why is the nickel mining plaque listed as an Ontario plaque--the photo is appropriately from Parks Canada which is responsible for National Historic Sites (and earlier did not know where this plaque was located).